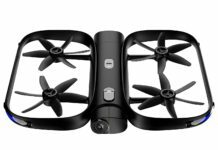 Holy Stone is one of the most renowned drone makers in the market. 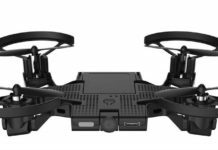 They are known for making beginner as well as advanced drones with incredible fun and functional features. 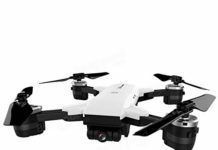 The reason why we think the Holy Stone HS100G is the best drone for teenager is because of its features. For a teenager, the last thing that they want is a bland and boring drone. You also do not want one that is too complicated. Remember, this is the age where you are hanging in limbo, somewhere between childhood and adulthood. Therefore, a drone like the HS100G is good for a teen. First, you will need to register this drone with the FAA before you can fly it. That should be pretty easy to do. The weight is 700 g, not too light but not too heavy for traveling with either. This is a big drone measuring 50cm by 50cm by 17.5cm. However, even with the size and the weight, this drone is a lot of fun to fly. The Holy Stone HS100G is powered by a 2500mAh battery, 7.4V and the charging time is anywhere from 3 to 6 hours. The flight time is 12 to 15 minutes. This is an intelligent battery, so you can monitor how it is fairing on your smartphone or on the controller. The 2.4GHz remote controller is stylish in design, very good looking too. It has a smartphone holder, the controls are very responsive. All functionalities such as return home, altitude hold, headless mode and others are found on the controller. However, you can also access these features in your smartphone. The video transmission range with the remote controller is 500 meters. You can engage the first person view mode and get to enjoy the same view that you would if you were inside the flying drone. This is made possible by the 5G FPV Wi-Fi connectivity and transmission. The video transmission distance is up to 1600 feet. 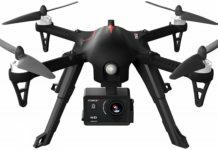 Compared to other drones in this size and price range, that is quite impressive. Because of the GPS assisted flight, it is quite hard to lose this drone. We have had many instances where a drone flew away, never to return. Not the HS100G though. This one is designed to return home automatically once the battery goes low. If it loses signal, it will turn back and come back to where it was launched to flight. 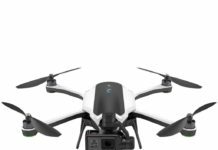 With a Full HD 1080P camera, you know this drone is going to capture awesome moments when you are outdoors. It also has a wide field of view at 120 degrees. The 90-degree adjustable angle of the camera also helps you to capture all the moments that you see through the FPV when you are flying the drone. You can set the drone on follow me mode. This sets the drone on a path after you, following every move that you make. This is a great way of having fun with a drone and at the same time, you can capture more moments with the camera. Whether you have flown a drone before, or this is your first, second or even third time, you will have incredible fun. The Holy Stone HS100G is made for both the fun and the functionality (the camera remember?). It is easy to fly thanks to flight features such as headless mode, one-key landing and takeoff, headless mode and of course, the safety features such as auto-return home. 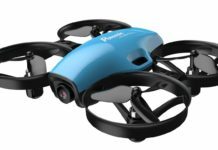 It is a nice drone for children, teenagers and adults alike. I was looking for a perfect gift for my teenage son when I found this drone. Ok, I have had a couple of Holy Stone drones myself, so I did not need much convincing to by the HS100G. He has been having a lot of fun with the drone. Nana G.
I love everything about this drone. I wanted an affordable camera drone to record awesome moments with my kids. This one allows me to shoot awesome overhead shots, thanks to the 90-degree adjustable camera. Don W.
The only downside to this drone is the short flight time for one battery, that and the long charging time. Otherwise, everything else works as advertised. 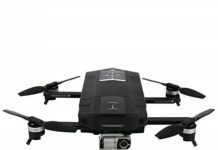 Chuck S.
If you are looking for a good drone for a beginner, go for the HS100G without hesitation. I did, and I have never regretted. In fact, I do not think I will outgrow this drone any time soon. Steve K.
How would you like to have a drone that lets you know the drone battery strength, the transmitter battery status and many more features, either on the controller or on the smartphone. Victoria M.
I am yet to use all of the drone’s features but I am planning to dedicate a whole afternoon to giving the drone a thorough test. However, from the little that I have done with it, it is worth all the money that you pay for it. Craig B. 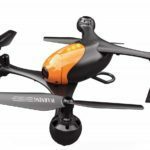 As you have seen in this Holy Stone HS100G review, this is a good drone for beginners, advanced beginners and advanced users. It is also the best drone for teenager due to its advanced features while not being too complicated at the same time. Anyone that loves a good, big and durable drone can buy this one and see that it is worth every dime paid for it. If you would like to gift your spouse, your son or any other man in your life, this drone is the best man toy to buy them. 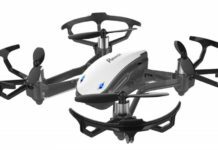 With all the advanced features for this drone that we have discussed here, you can see that it gives good value for the money. All things considered, even the price for the drone is quite good. You should not pass the opportunity to own this drone. You can find out whether there is a spare battery so that you can increase the flight time. If the Holy Stone HS100G is your first drone, read the user manual carefully and start slow on it. You can try the more advanced features later after you have gained some skill flying this bird.